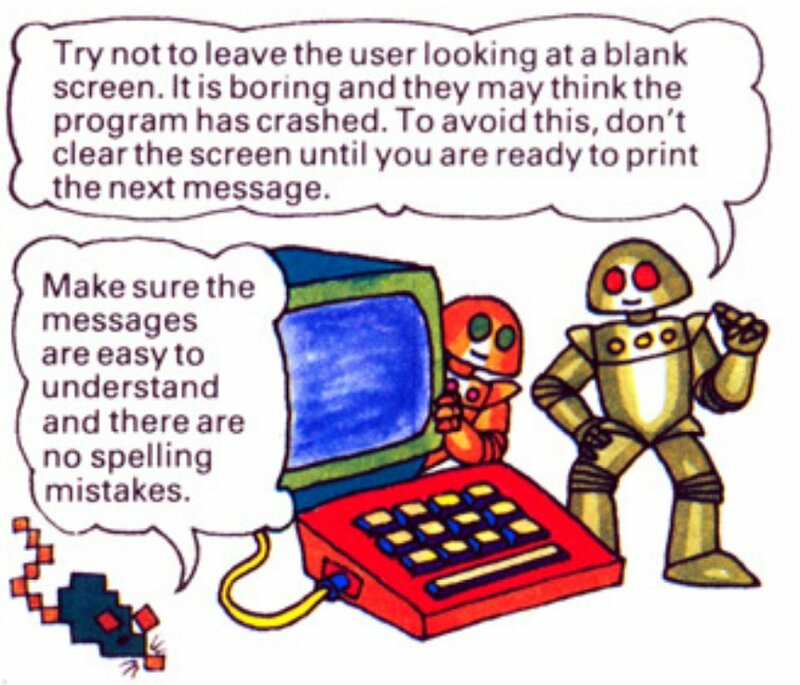 Jindo Fox writes, "A few years ago, Cory linked to some wonderful pictures in Usborne's 1983 classic Introduction to Machine Code for Beginners. Usborne has made PDF copies available of their whole line, with the only restriction that you link to their page, not to copy and redistribute the files themselves. Very cool. I have fond memories of wasting my childhood typing these listings into the mainframe terminal at my local university, and later on my Timex Sinclair 1000, which I somehow knew was the American version of the ZX-81 that was featured in these pages." Usborne's done it to promote some great-looking new books on learning to program: Lift-the-Flap Computers and Coding is a board-book for small children, covering "principles of coding, from simple commands to algorithms, are explained with a treasure hunt game and puzzles, and there are examples of simple programs in the coding language Scratch." Coding for Beginners - Using Scratch is "an introduction to coding for complete beginners," with "step-by-step instructions showing children how to use code to create games and animations." Here's a selection of some of my favorite images from the series. Though the subject matter is out of date, they stand up as some of the most engaging informational graphics ever made.